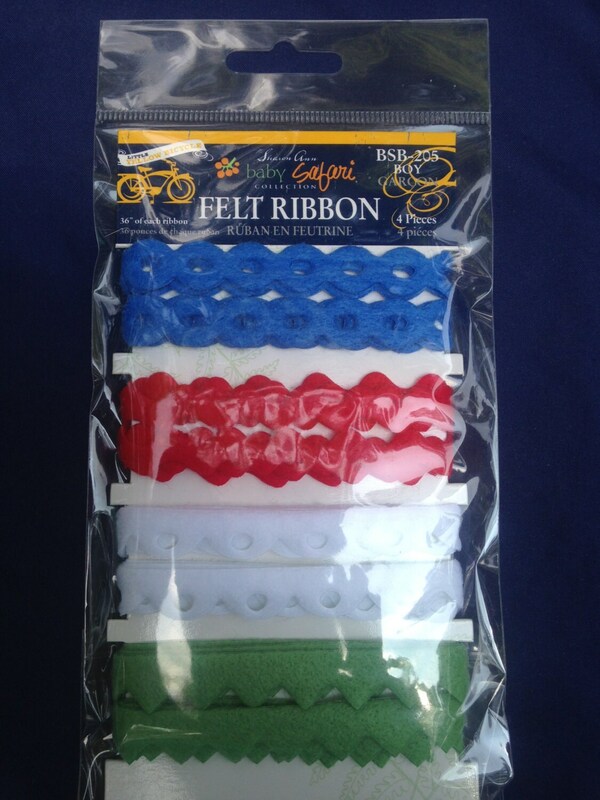 This listing is for a BRAND NEW package of felt die cut ribbons. 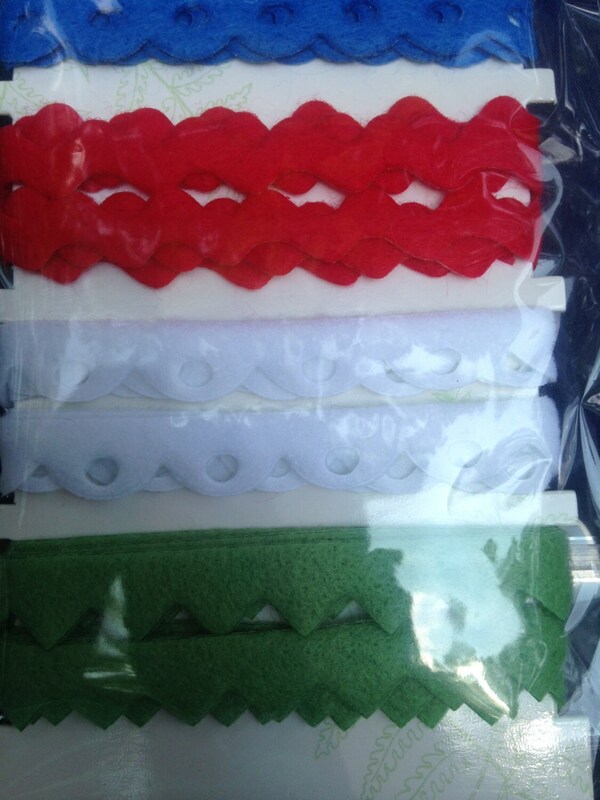 4 piece Ribbon Set Die Cut Felt Ribbon. 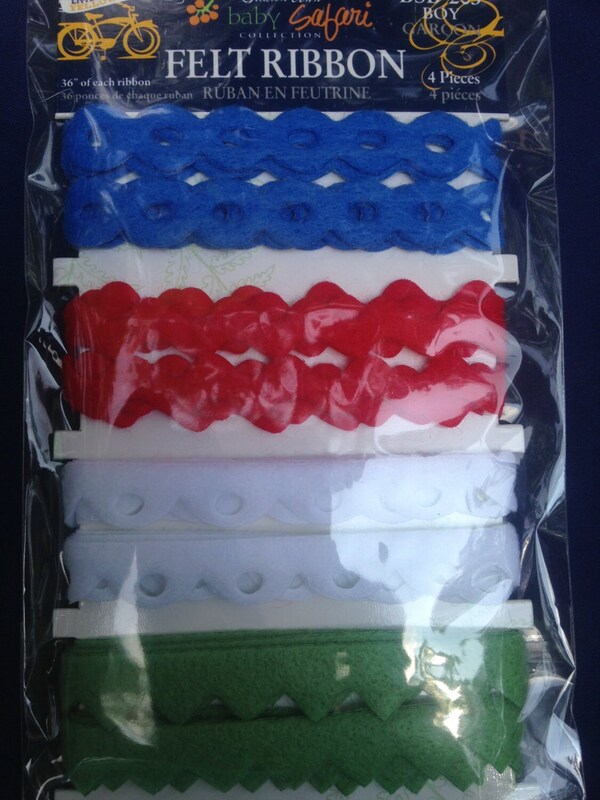 4 different styles, 36 inches of each ribbon. 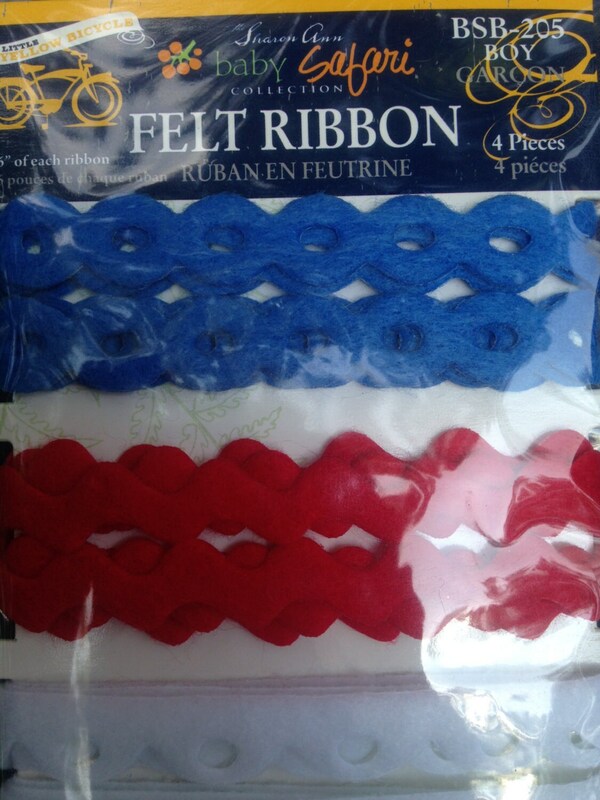 I love this ribbon. I use it on the cards I make.